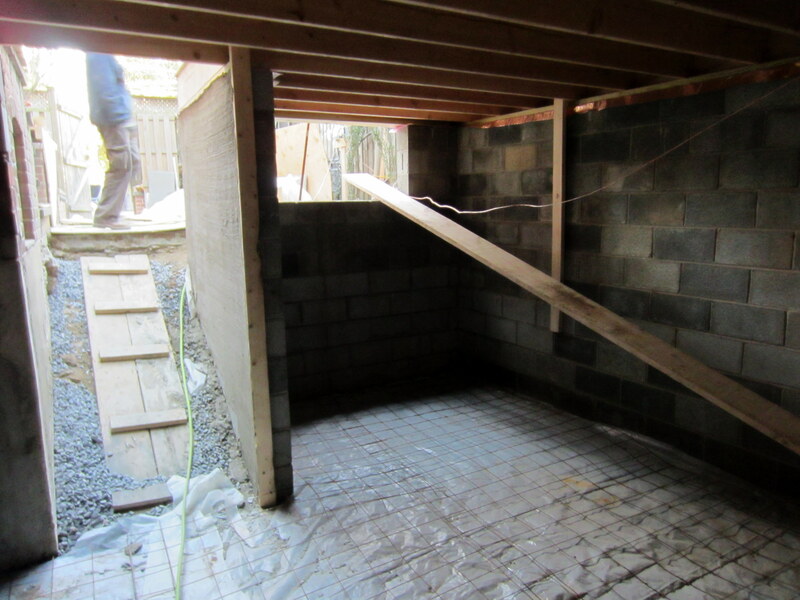 A fundamental benefit of the renovation was bumping out the back of the house. 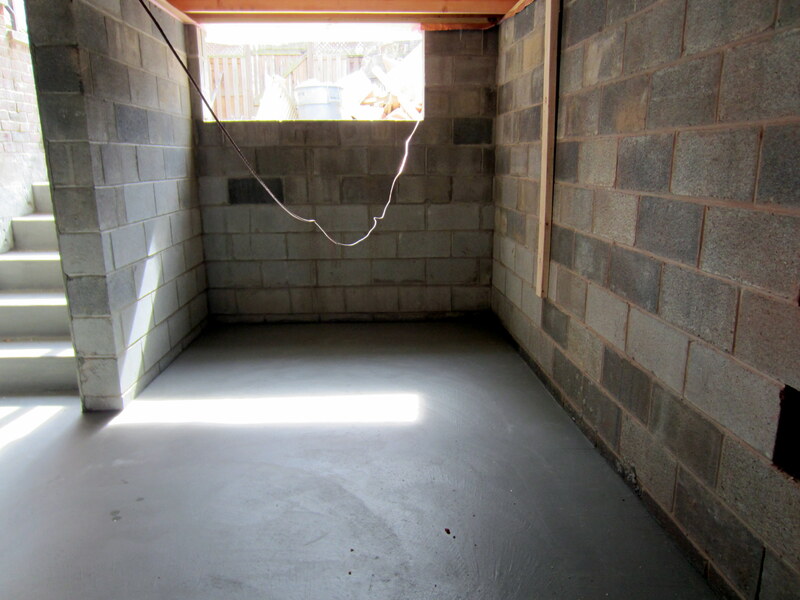 In the basement, this meant more than doubling the size of the unfinished area. One member of the family whistfully believes this will provide lots of additional storage space (the other knows with confidence that it simply provides additional acreage to house more bikes and a proper bike repair area; oh – and a second refrigerator, of course, to hold a keg for the upstairs tap). 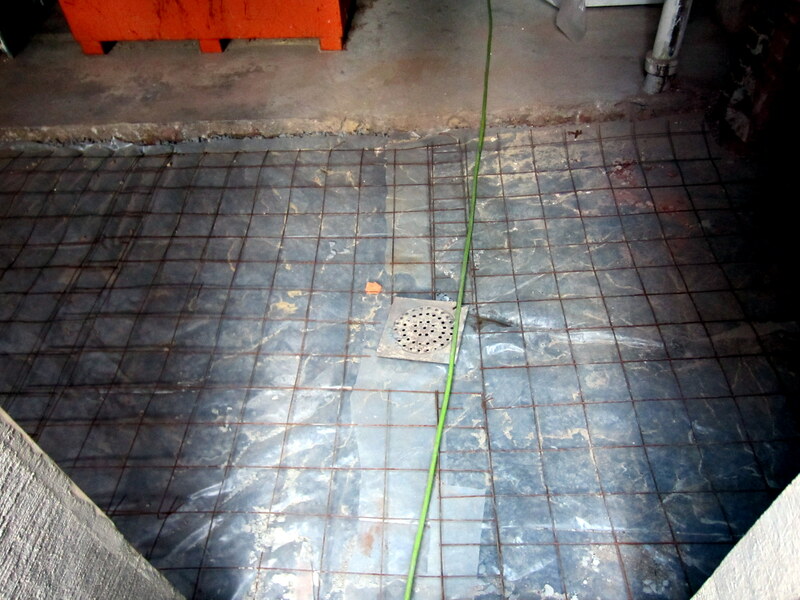 Below is a view of the area prepped for the slab to be poured. 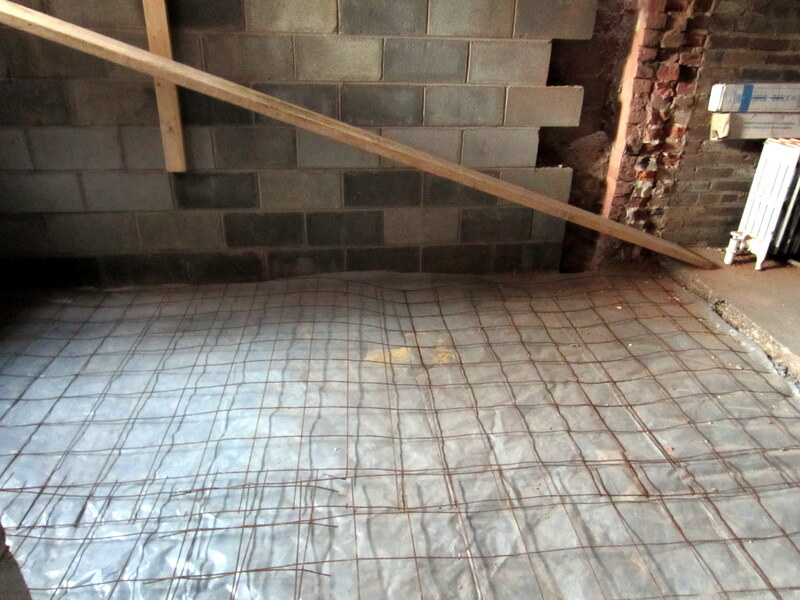 The concrete area at the top is the original house slab – it ended at the brick, south wall that was demolished in the “Excavation Day 5” post. Beyond this was the crawlspace under the old, built-over porch, then the back yard, which we’ve now pushed out into. View to the west. The block wall has not been finished at this point due to an, um, revealed condition relating to the property line. The slab itself depended on resolution of this issue before it could be poured. More on this in a future post. The walkway we’ve been using until now – it’s been like walking from a dock to a boat for the last several weeks. 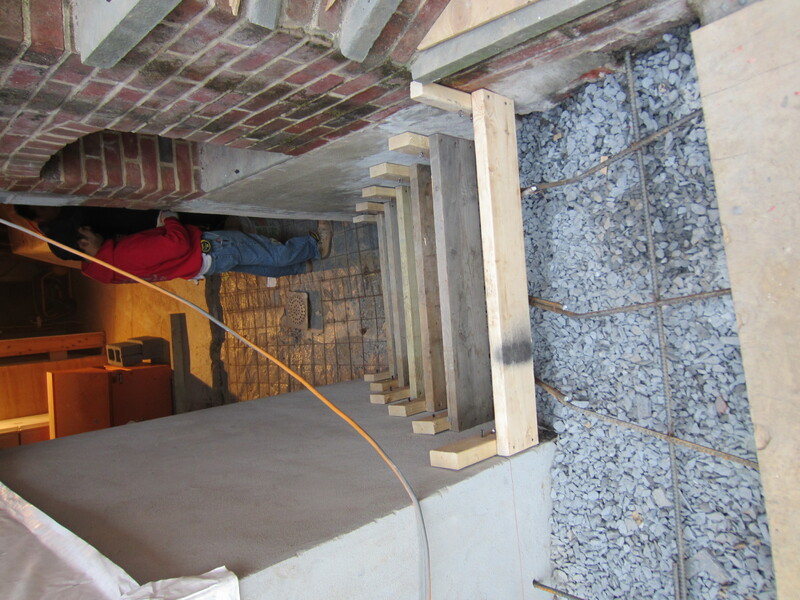 Framing for the new basement stairs has now been added. 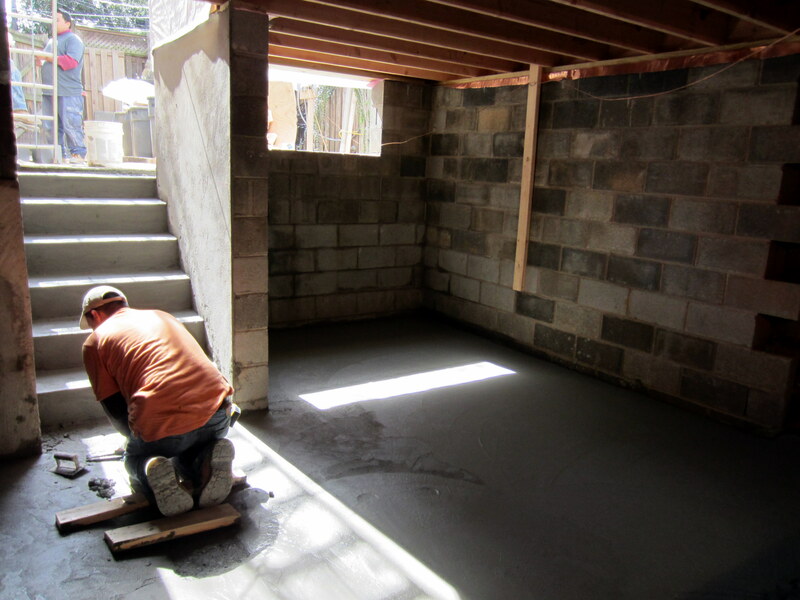 The slab and stairs have now been poured. 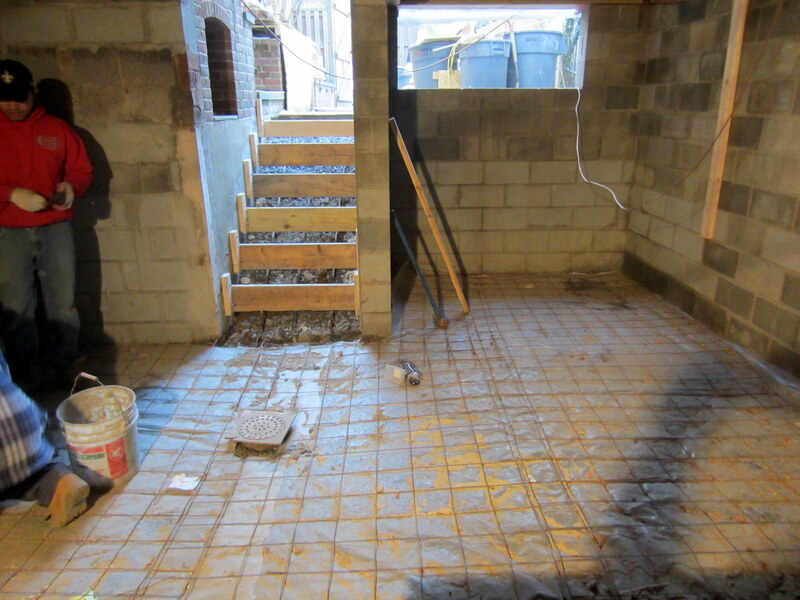 The mason’s doing a key job in our basement. The drain used to be outside the house, under the original porch. Now it’s inside. 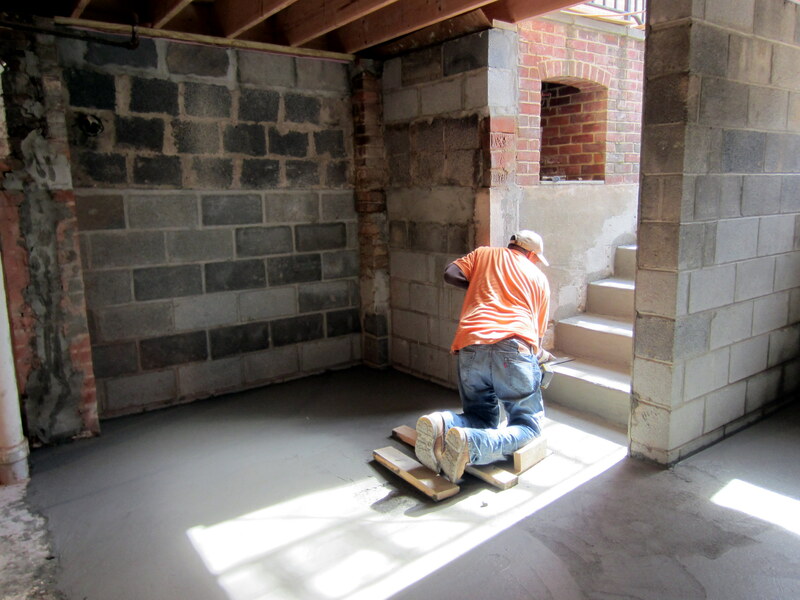 Although the full bumpout on the top floor (which hangs over the kitchen door and basement stairs) will minimize the rain that hits the stairs and rolls down, some will still go down the stairs and get into the basement. 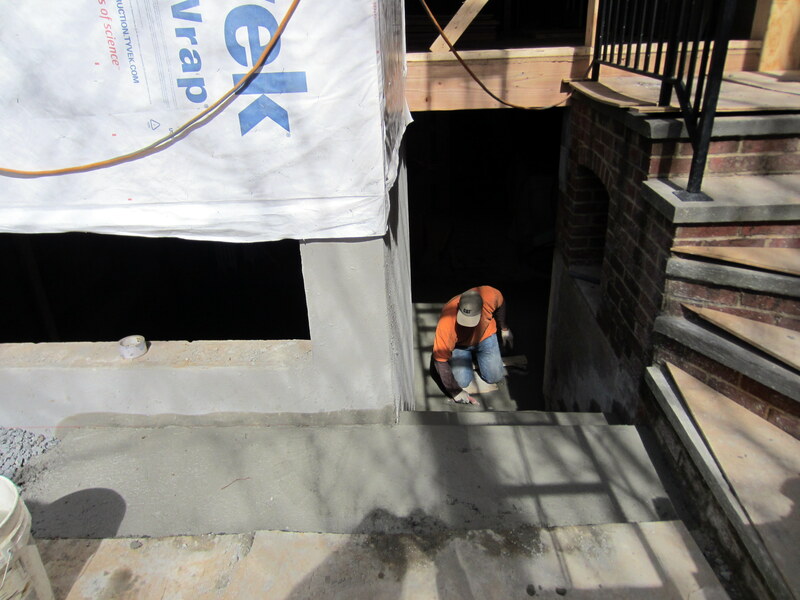 The mason is grading the slab near the door to create a channel to direct this infiltration to the drain. And to the east. 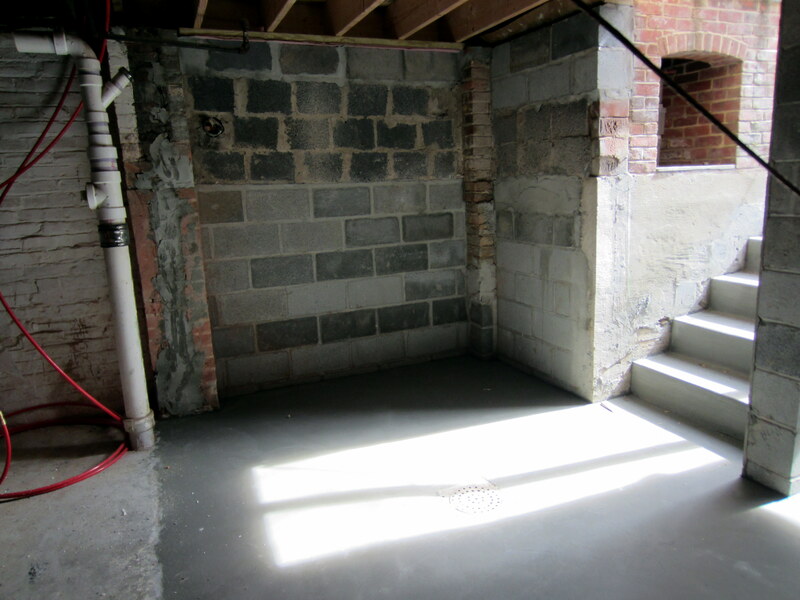 The boiler for the hydronics and the hot-water heater will live here, consolidating the mechanical components to one corner and freeing up the rest of the basement for, um, storage (more bikes). You can totally see where the Harry Homeowner blocks from a couple of decades ago are (ugly, but sound), and where the guys have installed new blocks as part of the renovation. How on earth could a property line dispute occur IN YOUR BASEMENT? And–what are you doing needing to walk ‘from the dock to the boat’? Stay the heck away.